FAQ (Frequently Asked Question): What's the difference between a CC1 and a CC3? 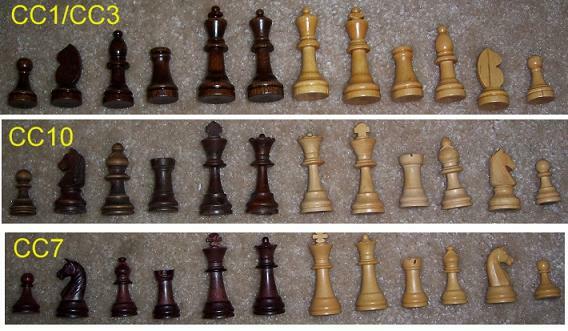 or How can I tell the difference between a Fidelity Chess Challenger 1 and 3? 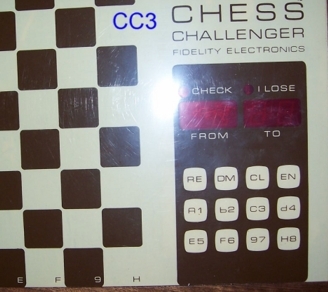 You're bidding or negotiating on these computers you may find it a little confusing at first, to tell whether the model is a Chess Challenger 1 or the Chess Challenger 3, since they're very similar. 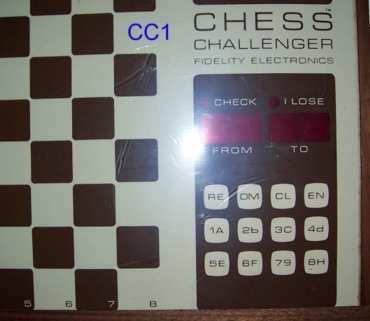 But the difference will affect the price since the CC1 is rarer than the CC3, being the very first dedicated chess computer in the world! First off, you can read the pages about the CC1 and the CC3. Take a look at the pictures of the computer you're interested in and check for the most common indicator: the mix up with the ranks and files! Here you can see both computers and if you look at the keyboard and the ranks/files you can easily tell which one is the CC1 because it has 1..8 in the bottom of the board, as opposed to A..H.
Also, the CC1 only plays black. They're pretty much the same! Most of the CC3s that I know of, have a red sticker on it. Though in this case, it doesn't! The CC3 has 3 levels. Pressing the CLear key at the begining of a game will change the level. Also, you can play black on the CC3, as opposed to the CC1.